Show off your UW pride with this die-cut decal! This decal features "Wisconsin Alumni" and Bucky. Outside application, vinyl transfer makes for a clean look and no unsightly background! 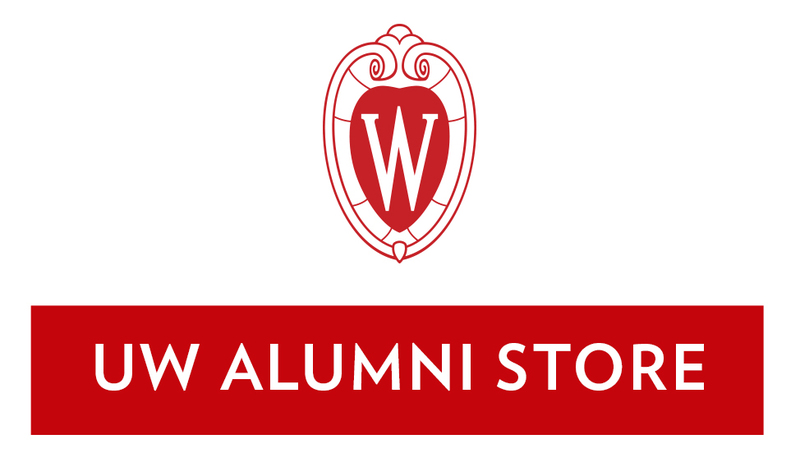 Add some Wisconsin Badger spirit to any magnetic surface with this mini Bucky Badger magnet! 3″ tall, this magnet is perfect for the fridge, locker, desk, cars, or more! Add this Wisconsin Badger motion W decal to any flat surface! the 4″ outside application decal is ideal for cars, laptops, or water bottles! The die-cut style makes for a clean look and easy application. Easy to remove with no residual effect using a blow dryer. Weather and fade resistant. Add this Bucky Badger decal to any flat surface! the 4″ outside application decal is ideal for cars, laptops, or water bottles! The die-cut style makes for a clean look and easy application. Easy to remove with no residual effect using a blow dryer. Weather and fade resistant. Add some Wisconsin Badger spirit to any flat surface with this static cling decal! The 11″ X 3″ decal features Bucky Badger's eyes. Inside application, static cling.